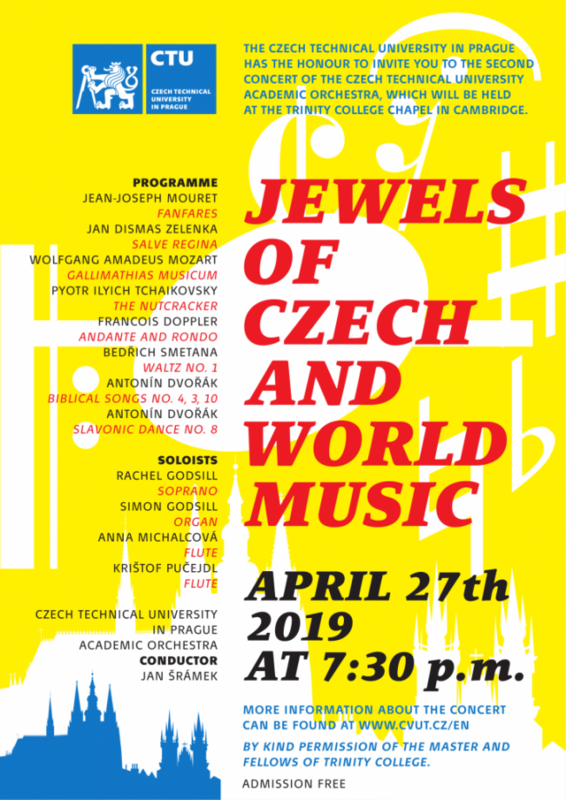 The Academic Orchestra led by conductor Jan Sramek has prepared a varied programme including both Czech and foreign songs. The soloists are Rachel Godsill (soprano), Simon Godsill (organ), Anna Michalcová (flute) and Kristof Pucejdl (flute). The event is being held under the patronage of Mr. Libor Secka, Ambassador of the Czech Republic in the UK, and Mrs. Denise Waddingham, Director of the British Council in the Czech Republic.